The Center for Regional Satellite Monitoring of Environment was created on the base of Satellite Monitoring Laboratory of IACP FEB RUS at 1999. The purpose of the Center is to receive, process, deliver and acquire of satellite data for research and economic applications. The Center and its data sets have been registered in Global Change Master Directory (NASA subdivision) and has status of the Regional Center of Russian Academy of Sciences. 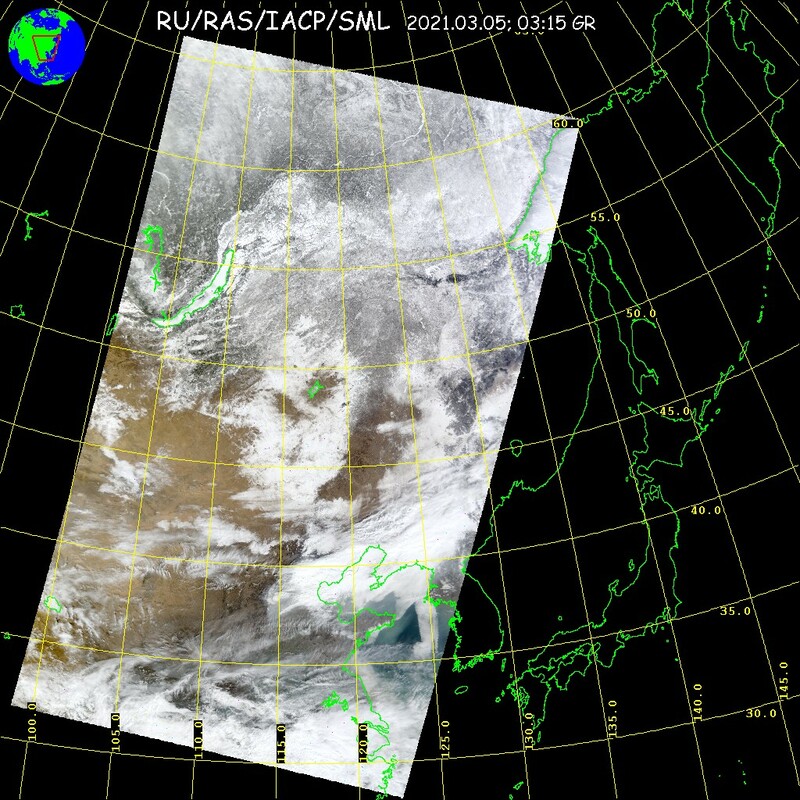 At the present time the Center carries out receiving and processing two types of high resolution satellite data: data of the polar-orbiting satellites (NOAA, FY-1D) for sea surface observation and the data of geo-stationary meteorological satellite (MTSAT-1R) for atmosphere monitoring. The Center has facilities to make data reception of geo-stationary satellite FY-2C. 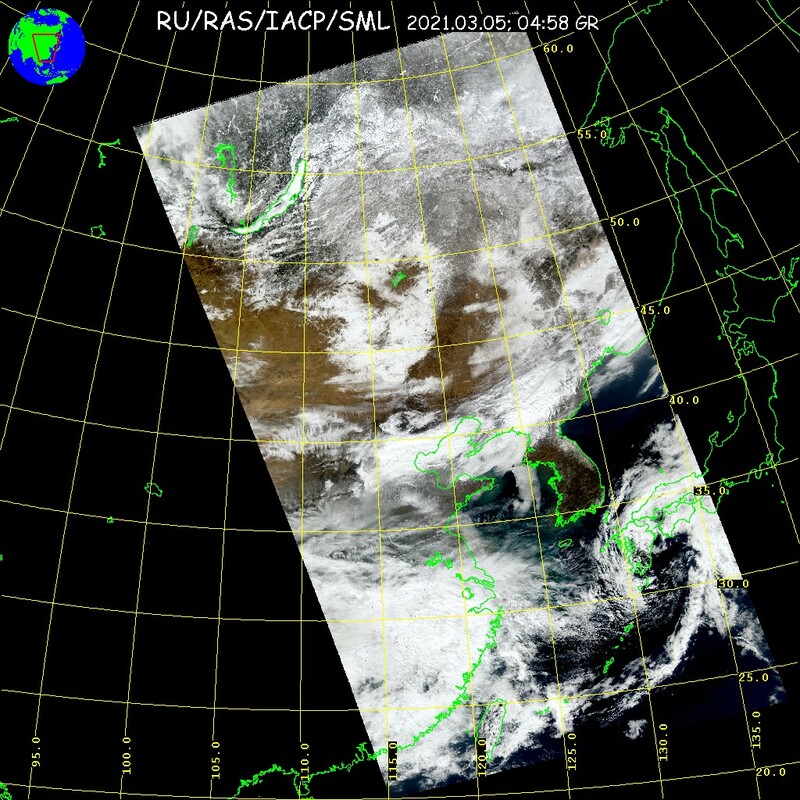 Joint processing of various satellite data allows get more complete information in time and space about sea surface and atmosphere phenomena. According to the satellite of new generation AQUA (radiometer MODIS) trial work on ecological monitoring Peter the Great bay is lead 22.08.2006. Monitoring was spent on the basis of turbidity parameters of coastal waters and chlorophyll-a concentration which characterizes both phytoplankton concentration, and anthropogenous character of water pollution. 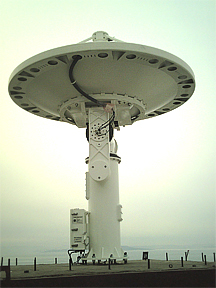 The first test of AQUA/MODIS data receiving has been taken place on 24 January 2006. This is the south-east part of Hokkaido. The regular and equal squares are saw well on the fragment of AQUA/MODIS image. Regional satellite monitoring of environment (RSM) is based on regular acquisition and real-time processing of digital multi-channel satellite information. - natural disaster monitoring (typhoons, forest fires, etc.). The basic sources of high resolution information are NOAA and FY-1D polar orbiting satellites and geostationary FY-2C satellite for our region. - thematic information processed for concrete users (temperature charts of different scales and time averaging; sea surface velocity estimations; composed SSTS charts; products of sea surface synoptic analyses; forest fires charts, typhoon parameter estimations). Data request of a user is realised with INTERNET facilities. E-mail, INTERNET, INTRANET and INMARSAT may be used for data delivery. In situ data are used for verification of different charts created on the base of satellite information. Verification procedure is used for calibration of algorithms for satellite data processing. Main directions of Satellite Centre development are increasing of data sources and creation new algorithms for data processing.